Happy Labor Day, friends! Today is the first day of The Blog-tember Challenge, a month-long link-up hosted by yours truly. I shared about the challenge last week along with a complete list of daily prompts and was delighted at the number of ladies wanting to join in! The Challenge is designed to spark your creativity, get you writing again, and introduce you to new friends and bloggers along the way! Care to join us? Find the details HERE! Today's prompt: "Imagine the front sleeve of a hard cover novel. Give us your "About the Author" so we can get to know one another, and for fun tell us what your imaginary novel would be about." I think an introduction is the perfect way to begin this challenge. Hopefully friends new and old will be joining us on this adventure! 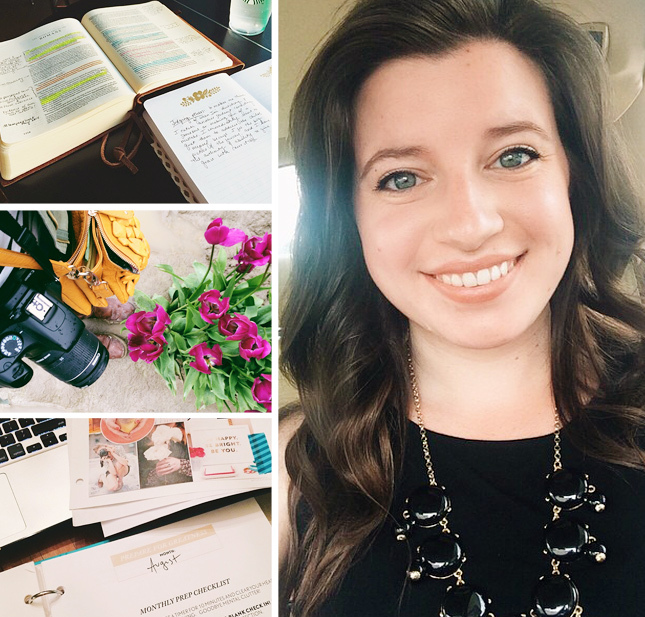 At the ripe, young age of twenty-three, Bailey Jean is the proud author of Brave Love (previously Anchored in Love Divine) and has been a member/fan of the blogging world for 5+ years. Born and raised in Texas, Bailey received her Bachelor of Fine Arts in Theatre Performance from Baylor University --Sic'em Bears!-- and is currently pursuing a Masters in Theatre at Oklahoma State. After graduation, Bailey spent a year in Seattle, Washington, working as a children's theatre director and teaching artist as well as feeding her Anthropologie addiction by working at one of the largest of the stores in the nation. Okay, now for the extra interesting parts: I am a sinner saved by grace, and following Jesus has re-routed my world so many times, each step forward in faith revealing more of His goodness! I am a Shakespeare and Harry Potter nerd, a Disney fanatic, and a lover of all things chocolate (any amen's in the crowd??). I am passionate about storytelling, creating a beautiful and welcoming home, activating and encouraging artists, and mentoring/supporting young women as they navigate high school/college and their walk with the Lord. I am probably the pickiest eater you know (weird textures and smells freak me out, and if it's green I most likely won't eat it), and music is food for my soul; I have a playlist for just about everything. My love languages include the following: receiving gifts, words of encouragement/snail mail, quality time over hot chocolate or wandering flea markets, and Anthropologie candles. Lastly, if I were to write a novel it would most likely be about a young woman adventuring through Europe during college, or I would finally put pen to paper (fingers to keys) and write the Christian-fiction series set in the Civil War that I have been mapping out for the better part of a decade. Who knows? You might find me working on that some day soon! I wanted to try my hand at being formal literally writing a 3rd-person front cover biography, but things went in another direction altogether after a while. Ha! ;) I cannot wait to meet you all and get to know each of you better through this challenge. Don't forget to link up below and use the #blogtemberchallenge tag to stay connected. I'll see you back here tomorrow for Day 2!